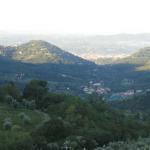 Fiesole is located ten miles northeast of Florence. The town is an important tourist destination with natural beauties and monuments: churches, palaces of the fourteenth century, aristocratic villas, but also enchanting panoramas of the Tuscan hills. Also interesting is the archaeological area with a Roman theater, an Etruscan-Roman temple and the archaeological museum. 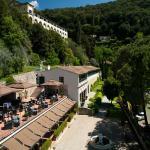 Hotels in Fiesole are always very popular so early booking is recommended. 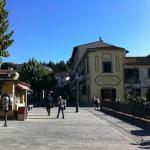 Fiesole hotels are mainly located in the historical city centre. Select travel dates and find all available hotels in Fiesole, check out guests reviews and locate properties on Fiesole city maps, book your favourite accommodation with no pre-payment. All rates are in Euros and inclusive of all taxes. 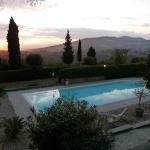 The Pensione Bencistà is located 5 minutes from the centre of Fiesole, in a villa surrounded by olive groves and dating back to the 1300s, and offers a panoramic view over the city of Florence. 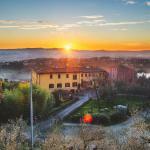 The Dino awaits you in Fiesole, 500 meters above sea level, offering spectacular views of the city of Florence. The countryside setting and the unique atmosphere will make your stay unforgettable. 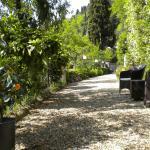 Hotel Villa Fiesole awaits you surrounded by a lush park, about 7 km away from the heart of Florence and 15 km from Firenze Peretola airport. 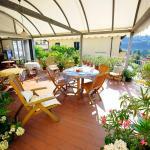 The Albergo Villa Sorriso awaits you in the centre of Fiesole. Easily accessible from the A1 motorway, it is just 9 km from the city of Florence and can be reached by a public bus which stops outside the hotel.